A. When you type in the amount, the PCRA makes you round down to the nearest dollar. For example, if you have $105.65, then you would type in 105.00. C. Choose the amount you wish to transfer from the fund. 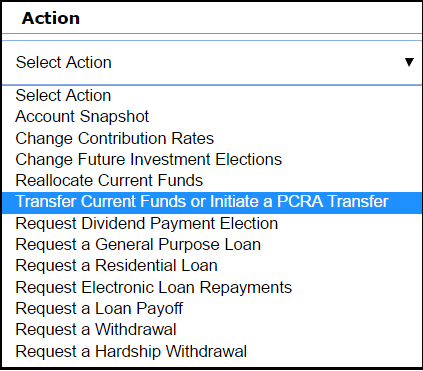 If you have multiple funds you wish to transfer money from, then you will need to repeat this process for each fund. Click “Continue” at the bottom of the page and follow the instructions for confirmation.